The Park Foundation primarily supports scholarships in higher education, quality media that heightens public awareness of critical issues and protection of the environment with a focus on water related issues. After seeing the image “Gem” they felt it spoke to the work they believe in and complimented their environment as a beautiful piece of office artwork. 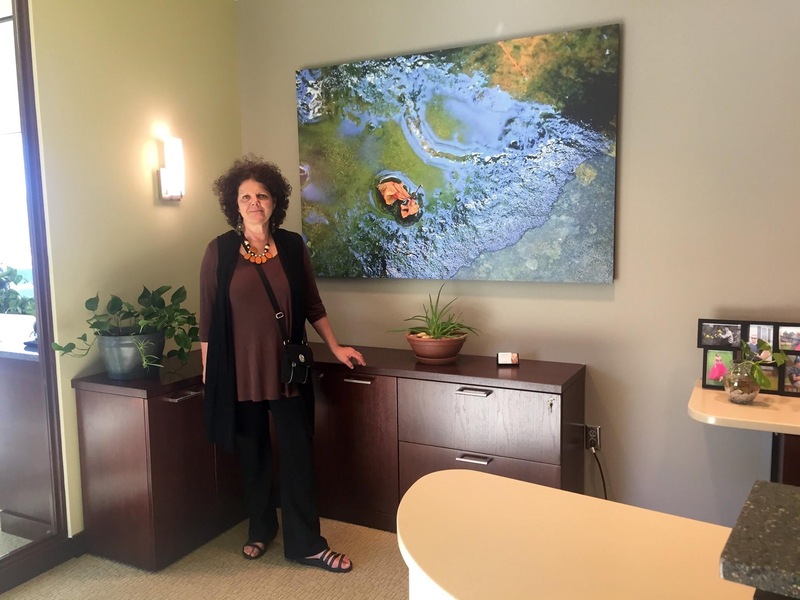 Image features Helena Cooper at The Park Foundation with her image “Gem” photographed at the Wild Flower Preserve, a local water shed and nature preserve. 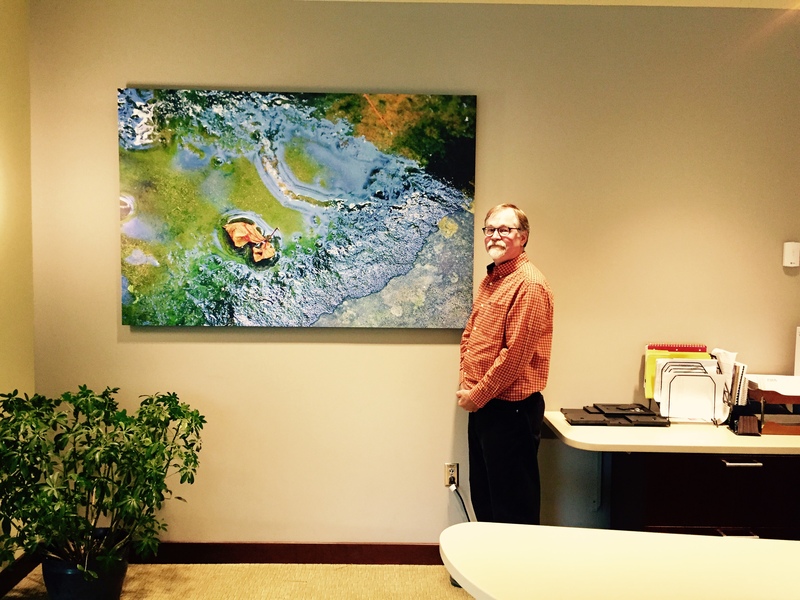 The Park Foundation wanted to have one of Helena’s images of water as new office artwork for their new office wall at the entrance. It’s a 4x6 size printed on Sintra Mounting.